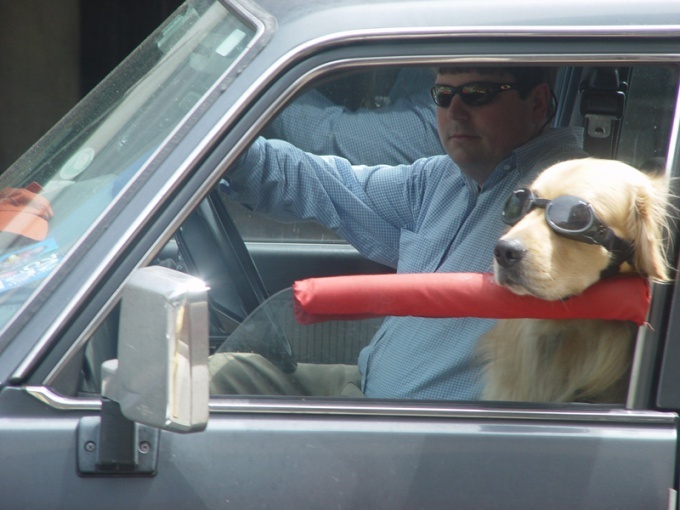 Any dog owner, and machine is sooner or later confronted with a situation where you need to transport your pet in the car. 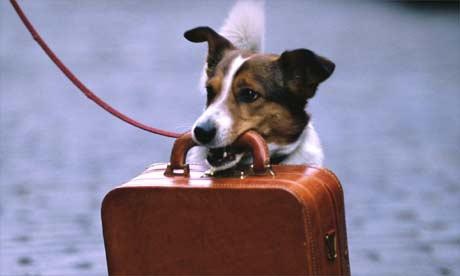 Even if your pet is not ready to travel, he would be better off with their master than at home alone. Stay in the vehicle for the animal can become an ordeal. Try to make life easier for your four-legged friend while you travel, protect it from stress, making all when carried correctly. - pharmaceutical remedies for motion sickness. Take all necessary safety measures. During a long journey you need a dog carriers. There are carrying for both small and large breeds. There are two types of such means of transportation: textile bags and plastic carrying. Select the suitable for dog kennel. Keep in mind that your dog needs to feel free. The dog should be able from time to time to change position, to see what is happening around. If your pet is very large in size, we can recommend a special vest that will govern on his back. 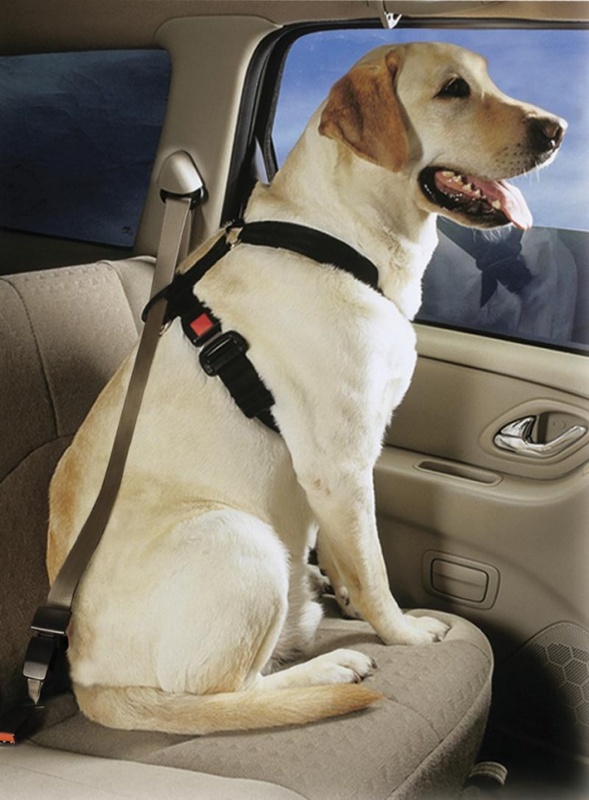 You can fasten a vest to the seat belt via a small leash. If you are traveling long distances, take breaks regularly. Don't forget that a pet needs to stretch their legs, take a walk and calm down. Don't take your dog off the leash, she can get lost in an unfamiliar area. Pet may even run away from the owner because its behavior is not quite adequate because experienced during the travel of the shock. However, much experience is not necessary, most dogs tolerate the journey and quite tolerant to a temporary lack of comfort. 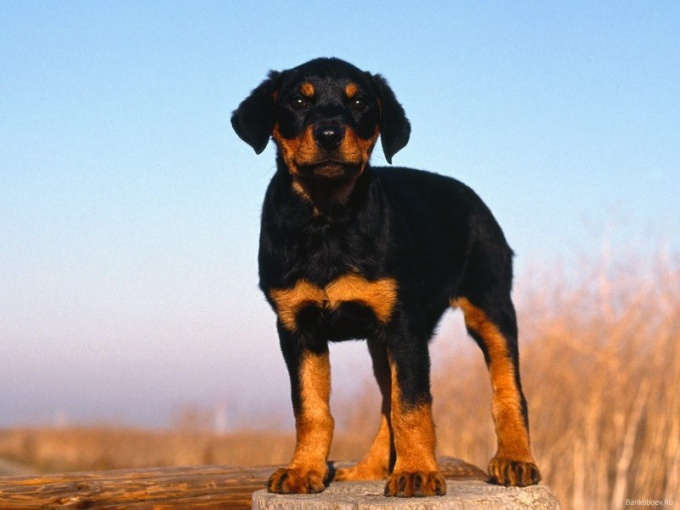 It all depends on the nature of your dog and his breed. Be sure to give the dog enough water, but don't overfeed her during the trip. To deprive the pet of the usual portions of food need not, give it a moderate amount of food. Food should be correct pre-eliminate from the diet foods that are hard to digest. 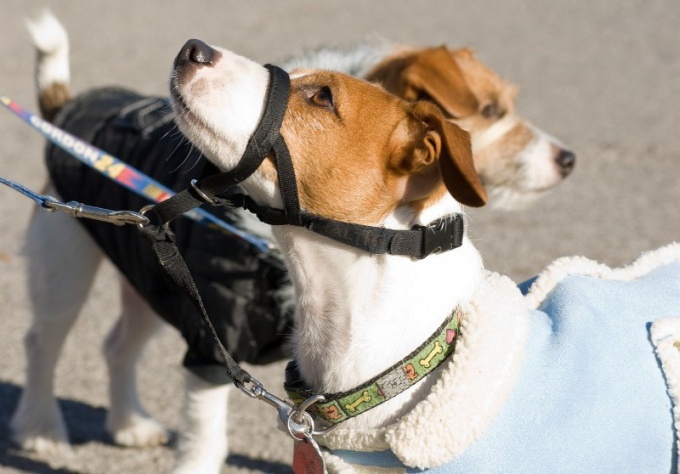 Do not feed the dog bones to the trip, because they slow down digestion and eventually, when your dog will be in a moving vehicle, it can pull due to an overloaded stomach. If the dog travels for the first time in life, don't give her two hours to eat, drink provokes the vomiting. Just in case, prepare a towel. On a hot day, there's a danger of getting a heat stroke, so do not leave your pet for a long time in a closed car. If the dog is wearing a muzzle, remove it. A dog cools your body, sticking tongue out of mouth, the muzzle will deprive her of the opportunity to cool during travel. Many dogs like to lean out the window to feel the flow of fresh air and to observe what is happening around. Don't allow your pet to be this way at the window for too long, there is a risk that it will chill your ears and work otitis media. Do not forget that the dog, as well as the person can blow out a draft, so do not open all the Windows in the car. Better accustom the dog to travel from puppyhood, otherwise the first long-term travel can be very hard for her. If your dog is heavily swayed every time you carry her, give her a special tool from motion sickness. These pills can be purchased in the veterinary shop. They prevent unimportant, which is caused by imbalance during the trip. Little dog needs to give half or even quarter of a pill. Do not leave your pet alone in the car, he can start to panic. If you need to leave, go with him and tie him near the car.